From the #1 New York Times bestselling author of It Ends With Us and November 9 comes a moving and haunting novel of family, love, and the power of the truth. "Not every mistake deserves a consequence. Sometimes the only thing it deserves is forgiveness." The Voss family is anything but normal. They live in a repurposed church, newly baptized Dollar Voss. The once cancer-stricken mother lives in the basement, the father is married to the mother's former nurse, the little half-brother isn't allowed to do or eat anything fun, and the eldest siblings are irritatingly perfect. Then, there's Merit. Merit Voss collects trophies she hasn't earned and secrets her family forces her to keep. While browsing the local antiques shop for her next trophy, she finds Sagan. His wit and unapologetic idealism disarm and spark renewed life into her--until she discovers that he's completely unavailable. Merit retreats deeper into herself, watching her family from the sidelines, when she learns a secret that no trophy in the world can fix. Fed up with the lies, Merit decides to shatter the happy family illusion that she's never been a part of before leaving them behind for good. When her escape plan fails, Merit is forced to deal with the staggering consequences of telling the truth and losing the one boy she loves. 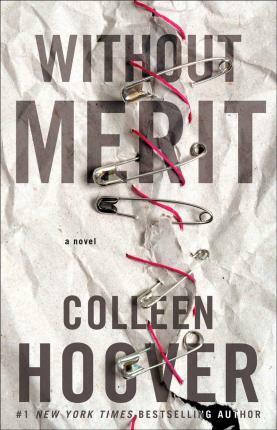 Poignant and powerful, Without Merit explores the layers of lies that tie a family together and the power of love and truth.